Essentially, what qui tam relators (like you) and lawyers (like me) do is prepare cases for the government. In part, the reputation of your lawyer—and your future reputation with the government as a qui tam relator—depends on how well you think through your case and how well you organize your presentation of the facts and the law. It is true that qui tam whistleblowers normally have the right to prosecute their cases without the intervention of the government, but make no mistake about it — the first and most important goal for you and your lawyers should be to get the government’s intervention in your case. I wrote this book to help potential qui tam relators organize their thoughts and documents and help them seek out the right lawyer for legal advice. 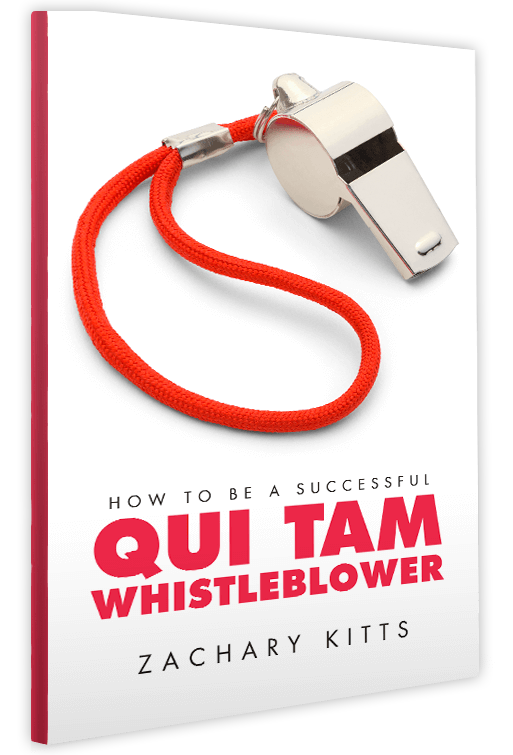 How to Be a Successful Qui Tam Whistleblower is based, in part, on written materials I typically provide to clients (and potential clients) to assist them with the important work of a qui tam case. So it seemed logical to me that providing a version of this information to potential whistleblowers might be helpful and I think you will agree. 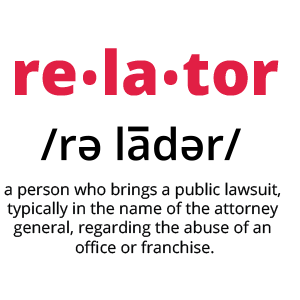 Let me first explain what I mean by “relator.” I’m referring to someone who “relates,” that is, brings information to the government in the form of a qui tam case (this is not a “realtor,” someone who handles real estate). That’s the nature of qui tam cases—someone with first-hand knowledge about false claims hiring a lawyer and presenting, or relating, his or her case to the government. I have based parts of this book on materials I typically provide to clients as I investigate and then prepare their cases. If my clients found my memos helpful as they worked with me, I think that you, the potential whistleblower, might also find this HOW TO BE A SUCCESSFUL QUI TAM WHISTLEBLOWER information helpful as you begin to work your way through your thoughts and through the documents you may have gathered. I did not write this book to help you determine if you have a case. Only by working with a lawyer with qui tam experience can you determine whether you have a case. But I do think this book can help you organize your information and thoughts so that when you do seek out a lawyer to help you determine if you have a case, you’ll be prepared. The federal False Claims Act (FCA) offers significant monetary incentives for people like you to come forward, hire a lawyer, and file a case. Essentially, what qui tam relators (like you) and lawyers (like me) do is prepare cases for the government. In part, the reputation of your lawyer—and your future reputation with the government as a qui tam relator—depends on how well you organize and think your case through. I wrote this book to help you do just that. And make no mistake about it—failure at the early stages of your case could have catastrophic results for your case and for you personally. Failure to gather the right information in the right way can have so many bad outcomes that there is a whole chapter in this book dedicated to that. Failure to hire the right lawyer can be similarly disastrous in that your case could be dismissed or worse because of bad lawyering; I have dedicated a whole chapter to that as well. I’ve written this book mainly for nonlawyers, so I have resisted the urge to cite cases for everything. You will see very little citation to case law and legal precedent in this book. It has not been easy for me to do that; eighteen years of researching law and writing legal memoranda has made that second nature for me. However hard I have tried to refrain from using technical jargon in this book, I am, at the end of the day, a lawyer writing a book that covers legal topics, and I found it frankly unavoidable to use at least some legal terminology.